Everything short of an all out war broke out between the city of Miami and Ultra Music Festival in the midst of the 2014 three-day event just a few weeks ago, rapidly escalating from a horrifying security guard injury to notions from city representatives to ban the event from returning to the South Florida. The peak of the conflict was set to occur today, where the subject would be resolved — or re-ignited, depending on the outcome — at a scheduled City Commission meeting. Originally, the two leading figureheads in the battle against Ultra, Mayor Tomás Regalado and Commissioner Marc Sarnoff, were slated to present and vote upon a proposed resolution to disallow Ultra the ability to return to Miami in the future. 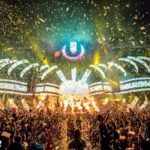 Today Miami Commissioner Marc Sarnoff and Mayor Regalado withdrew their “Resolution” to ban the Ultra Music Festival from Bayfront Park in Downtown Miami. The support from the Greater Miami and Beaches Hotel Association, the outpouring of support from Downtown businesses and residents, and the overwhelming support of Ultra fans around the world has delivered a temporary victory in the fight to keep Ultra in Downtown Miami. It appears most City Commissioners understand what Ultra Music Festival means to the Ultra Worldwide brand globally and appreciate the tremendous positive economic impact that the 3-day annual event has on the city of Miami and surrounding communities. As the dance music community continues to await results for an official decision, Ultra encourages supporters to sign the official petition to keep Ultra in Miami. Sing the petition here, and read more information on the brewing debate below.